I'm delighted to be offering my popular 'Be an Expert on Working with Experts' workshop as a pre-conference session at the 2014 annual conference of the National Association of Cancer Center Development Officers (NACCDO) and the National Cancer Institute Public Affairs and Marketing Network (PAN), which takes place in April in Columbus, Ohio. And seats are already filling for this workshop, so if you want to add it to your registration, move quickly. 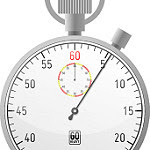 Although the conference is handling registration for the session, I've been hearing directly from participants like the one who wrote to me earlier this week to say, "I am thrilled to see you have a day-long workshop...I will sign up." These organizations are a wonderful and longstanding network of professionals who do the fundraising and communications for NCI-funded cancer centers around the United States, and the conference is perhaps the best-organized professional development offering I've ever attended. I've spoken before to this group, on 12 ways to make it easy to blog and 10 things communicators don't know about experts, a good preview to the workshop, although we'll go much more in depth in this session. That's because registration is limited to a small group, which will allow us plenty of time to divulge common experiences that communications and development officers experience when working with their center's researchers, as well as time to discuss individual experiences and challenges. The group will work together on strategies and solutions, and my goal is for each participant to leave with a stronger sense of how to work better with experts and how to help them meet their centers' goals for funding and public outreach. "If you ever have the opportunity to take a workshop with @dontgetcaught, do it! Best training I've ever had. Informative and eye-opening." -- Ashley Berthelot, director of research communications, Louisiana State University. "I recently attended Denise's one-day workshop called Be an Expert at Working With Experts. I found her instruction clear and insightful, her tips useful and her presentation style engaging. 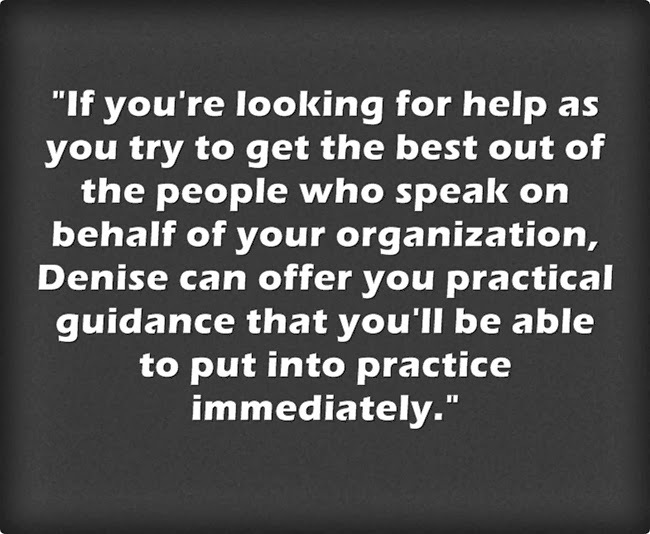 If you're looking for help as you try to get the best out of the people who speak on behalf of your organization, Denise can offer you practical guidance that you'll be able to put into practice immediately. I particularly appreciated her emphasis on understanding a speaker's needs and motivations in order to help them deliver the best possible presentation." - Rachel Coker, director of research advancement, Binghamton University. Go here see this session's description, which you'll find under the "PAN sessions" tab; an extra fee is required beyond standard registration for the conference. Once the registration is full, this option will be gone from the registration page, so sign up soon. We'll convene from 9am to 4pm on Wednesday, April 23. While this session is only open to NACCDO and PAN members attending the conference, I'm happy to bring a version of this workshop to your city, workplace or conference in a similar way. I'll also be convening a session of Be an Expert on Working with Experts on June 19 for which anyone can register, in Washington DC. You'll get a sweet discount for registering early for the DC session. Please join us!